With the Sarasota County School Board chair and the immediate past chair of the Sarasota County Commission voicing full support — and no one dissenting — county Parks, Recreation and Natural Resources Department staff and the planning director of the Sarasota County Schools will continue working on a new interlocal agreement designed to make it easier for the public to utilize school recreational facilities, including playgrounds, when students are not on campuses. 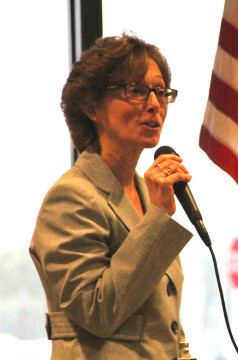 Although the district and the county have cooperated for more than 20 years — with one primary interlocal agreement forged and multiple separate documents in place to cover more recent developments — the goal is to create a new agreement that will “span the test of time,” Kathie Ebaugh, the district’s planning director, told the approximately 30 elected and appointed local government representatives attending the eighth annual Convocation of Governments on Jan. 15 at Suncoast Technical College. “What we do well is teach,” Ebaugh said in referring to the school district. “What the Parks Department does well is provide parks.” The goal not only is to craft an agreement that will make school facilities more available, she added, but also to make it clear who is responsible for details such as opening the doors, maintenance and cleaning. Additionally, with the use of impact fees assessed on new development to help pay for parks, Carolyn Brown, director of the county’s Parks, Recreation and Natural Resources Department, explained, opportunities have been identified for the school district and the county to co-locate facilities such as multi-purpose athletic fields, walking and fitness tracks, tennis and pickleball courts, gyms, restrooms and concession stands. The process began about one-and-a-half years ago, Ebaugh pointed out. 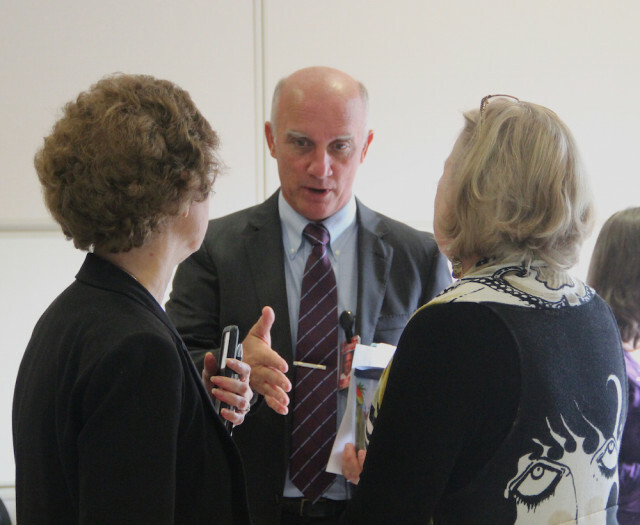 The goal is to present the proposed new interlocal agreement to all the district’s principals by spring, she continued, and then incorporate their comments into the final draft. She and Brown hope the County Commission and the School Board will grant approval of the document this summer, Ebaugh continued, with implementation taking place at the start of the 2016-17 school year. 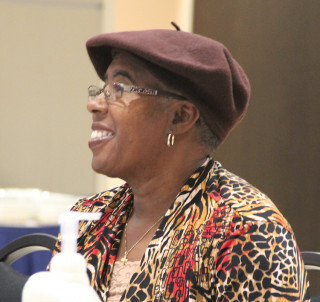 “Thumbs up on continuing the good work that you are doing,” School Board Chair Shirley Brown added. After a couple of the elected leaders voiced concerns about keeping campuses secure, Carolyn Brown and Ebaugh said they would be sensitive to that in their planning. In their presentation, Carolyn Brown said Venice Middle School and Atwater Elementary School in North Port, as well as two new planned elementary schools, have been seen as potential facilities for joint usage. School district staff already is working with the developers of Clark Road Properties in Sarasota and the West Villages in South County on new school sites, Ebaugh noted. When the developers have asked where district staff members would like to put their facilities in those communities, Ebaugh said, “we’ve asked where they plan to put parks.” Having the campuses adjacent to parks will make joint usage easier, she noted. Moreover, Ebaugh pointed out, the district already has planned a $12-million investment in rebuilding Venice Middle School, which is 30 years old. Because the athletic facilities are separate from the main part of the campus, she said, that site lends itself easily to users other than students. The district already has hired an architect and is proceeding with the employment of a construction manager for that project, she continued. 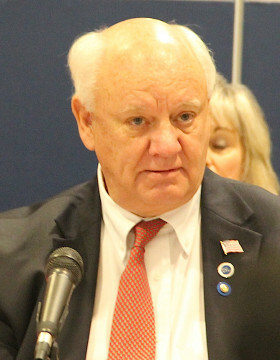 Therefore, the county would not have to hire someone to help with its role in designing athletic fields accessible to the public as part of that project, Ebaugh added. However, because the facilities will be on a school campus, Ebaugh pointed out, the Parks, Recreation and Natural Resources Department is limited by law to covering no more than 75 percent of the expenses through parks impact fee revenue. Therefore, she said, district staff is working with the City of Venice and county personnel to identify potential grants or capital funds that could be used to fill the gap. School Board Chair Brown suggested they also research the potential of funding assistance from accounts parents of special needs students are able to establish as a result of Florida legislative action. She added that she hoped Carolyn Brown and Ebaugh are contacting parents of such students as they work on the joint planning. 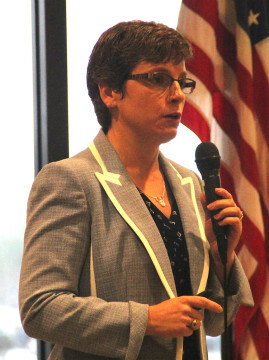 Although she and Ebaugh would like to have the School Board and County Commission approve the Venice Middle plans by this summer, Brown told The Sarasota News Leader after the meeting, “There will be much more work that is needed” before they get to that stage. When Sarasota Vice Mayor Suzanne Atwell pointed out that “Southside [Elementary School] has a wonderful playground,” but she is uncertain how the public can use it, Ebaugh explained that Southside’s outdoor facilities are open on evenings after the school is closed and on weekends. The district has an agreement with the surrounding neighborhoods that provides for residents to keep an eye on people on the site and to make sure the area is clean before school resumes, Ebaugh noted. Among the ideas school and county staff members are reviewing, Ebaugh continued, are how Parks employees could be responsible for monitoring and cleanup in a similar fashion at other schools. Venice City Councilman Bob Daniels and Atwell both broached the need for more security on the school sites, given attacks on students in recent years across the country. Perhaps computerized locks and security cameras can be added to campuses, Daniels said. In response to another question, Ebaugh noted that district staff is working with the City of Venice and Sarasota County on parks master planning that already is under way. North Port Commissioner Linda Yates pointed out that her city also has begun such an initiative. School district spokesman Scott Ferguson told the News Leader this week that Ebaugh and Micki Ryan of the district’s Planning Department staff are working with the City of North Port on that process, too. A good example of what this article covers comes from Sarasota High School. They recently destroyed six or eight tennis courts, despite having agreed, several years earlier, to keep those tennis courts open to the public, in exchange for the public allowing Sarasota High School to have special rights on School Avenue. When reminded of the promise by then School Board Chair Carolyn Zucker, the School Board’s response was that that promise was not meant to be permanent…..?!? And, when they destroyed the courts, they built a new fence around the area which bars the public from using their handball/racquetball courts. The School Board needs to recognize that taxpayers built their facilities, and that those facilities should be shared with the public when such use does not conflict with school hours.